Laser Lipolysis or also commonly called as “LASER LIPOLYSIS” is a minimally invasive and modern technique used by cosmetic surgeons to remove the excess or unwanted hard-to-reach fat from an individual’s body. 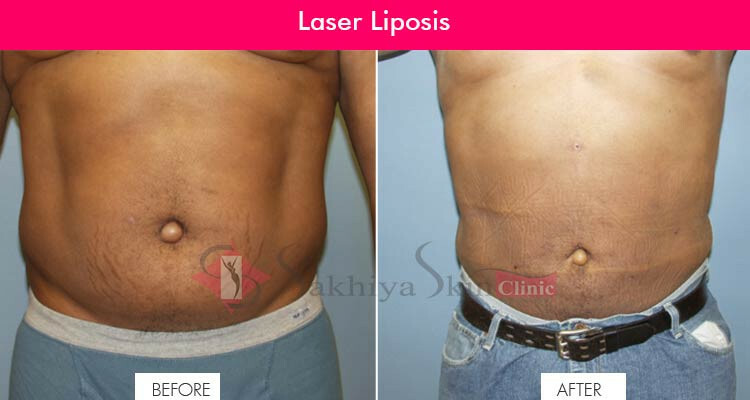 Laser Lipolysis is a cosmetic surgical procedure especially designed for the removal of unwanted fatty tissue. This method unlike traditional methods like tumescent is based on laser light, which is used to melt the unnecessary fat deposits in the body. Laser Lipolysis is a proven superlative treatment option for those people, who do not want saggy skin after the fat removal procedure or want to remove the stubborn fat permanently from a particular portion of the body. Researches have shown that the laser lipolysis or laser liposuction has developed as an adjunctive tool that helps in body sculpting and skin tightening without leaving any scars. The ideal candidate for laser fat removal is someone who is already committed to making healthy lifestyle changes and does not have a lot of weight to lose. It can be used for inch loss, cellulite reduction or skin contouring. Laser lipolysis is a minimally invasive procedure that uses heat from fiber-optic lasers at various wavelengths to melt body fat at desired areas. HOW IS THIS DIFFERENT FROM OTHER PROCEDURES? This is a different process than liposuction, which involves removing fat from the body using vacuum suction. The added benefit of laser lipolysis is that it spurs the production of the protein collagen, making skin more taut. LIPOLYSIS OR LIPOSUCTION OR BOTH? Laser lipolysis can be effective on its own for fat removal. However, integrating laser lipolysis with traditional liposuction generally produces optimum results for tightening and shrinking skin. AM I A SAFE CANDIDATE? Laser lipolysis is a safe & effective treatment for targeting small areas of the body fat, and because the procedure is done on an outpatient basis, the recovery is generally quick. WHAT IS REQUIRED POST LASER LIPOLYSIS? In addition to laser lipolysis, 30 minutes of walking/exercise, 3-4 litres of drinking water every day and a balanced healthy diet are must to retain the results of the procedure in the long run. IS IT the BEST TECHNOLOGY FOR MELTING FAT? Laser lipolysis is new state of the art body contouring system, which promises excellent results in non-invasive pain free technology.